“Being negative takes a lot of energy and i’m too lazy for that.” #shortying. That’s what is known in the local dance scene as “shortying.” A straight out the club, gogo dancing, DJ spinning homage to enjoying life in one of the coolest mantras ever! 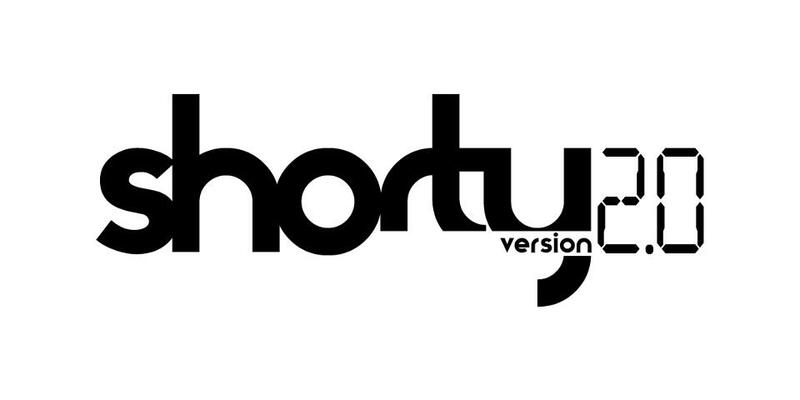 It does put an updated twist on “Forgive and Forget,” but DJ ShortyV2 is more than a catch-phrase. Spinning literally everything and anything is the cause of her far-reaching effect. From Chaka Khan to Ke$ha, and Lil Jon to Usher it works. I recently test marketed one of her older tracks for a variety of people, ages 4-63 years, and everyone of them loved the mixes and wanted their own track. Who does that? In short, ShortyV2. That’s who. Pun intended. I could literally go on forever about her music, but I’ll just let her music speak for itself. Let 2010 Revisited or the Oh Land Oh Mix run around, and I’ll promise you’ll be searching for DJ ShortyV2 on your next night out. That is if you can keep up with her. Shorty is an art school graduate working on a portfolio, spinning every Wed @ DV8 from 9pm-2am, Th @ Boca from 7pm-11pm and usually weekly special events. For example an upcoming Knockouts event that will run till 4am! That would wear out the average DJ, so get your running shoes on if you trying to keep pace. This is what Shorty lives for, an opportunity to rock the crowd, and she’s always looking for more. Her current goal is to be a radio DJ and maybe also headlining a club, being able to rock the crowd and do benefits for the community. She’s always down for the cause, and with her attitude, all of that is a reality. If you need to contact her or get in on the next gig, Shorty is always available via Facebook, Twitter, webpage and email at djshortyv2@gmail.com. Make sure to have your favorite energy drink and be able to handle crowds cuz she brings it everytime! That being said, once you vibe with DJ ShortyV2 for a period of about one to one-point-five seconds, you realize that #shortying truly does represent who she is…. complex, diverse, fun-loving, in the moment and steady pushing to make a better tomorrow built around positive karma. If every artist was on this level, we’d never have one hit wonders! Shorty is a credit to her DJ’ing craft.